Dr. Lukowski has moved his practice to the University of Florida, Department of OB-GYN where he has joined the faculty as a Clinical Associate Professor. Martha Jean Pierce, A.R.N.P. has relocated with Dr. Lukowski to this location. Cyndi Vista, A.R.N.P. is joining Dr. Michael Cotter, M.D. who is relocating his practice to North Florida Regional Medical Center. We all welcome and invite you to continue your care with us at our new locations. Dr. Lukowski received his undergraduate degree in physics from West Virginia University and his Master’s Degree in physics from the University of Florida. He is a graduate of the University of Florida's College of Medicine and completed his residency training in Obstetrics and Gynecology at Shands Teaching Hospital in the University of Florida. Dr. Lukowski is a board certified Obstetrician and Gynecologist with 31 years of obstetrics and gynecology experience in the Gainesville area, where he has delivered more than 7000 babies. 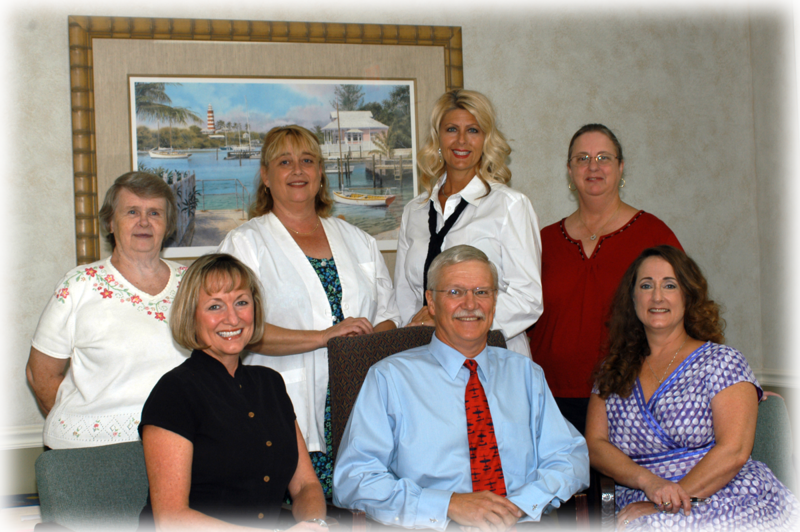 Dr. Lukowski retired from the practice of Obstetrics in May 2008 and now devotes his entire practice to Gynecology. In 1996 he served as president of the Alachua County Medical Society and he has served for many years on the executive committee of Life South Blood Bank. Dr. Lukowski is a compassionate physician who cares for his patients' medical and emotional needs. He is the father of 3 children, and has been married to Judith Lukowski for 39 years. He looks forward to his new role in medical education while still providing individual care to his patients. Martha Jean became an LPN in 1981 and has worked in obstetrics and gynecology during her entire career. She has worked in Dr. Lukowski’s office since 1989, and in 1998 she obtained her Advanced registered Nurse Practitioner degree. Martha Jean loves working with women. She enjoys teaching women how to be healthy and wants to make sure every woman is as comfortable and relaxed as possible during her visit. Martha Jean specializes in adolescent and premenopausal care. She believes the adolescent and premenopausal stages of a woman’s life can be especially challenging, and she wants to help ladies during these difficult times. Martha Jean enjoys living in the country and spending time with her family and two children. Cyndi earned her Associates Degree in Nursing from Lake City Community College in 1981, her B.S.N. from Florida State University in 1998, and her M.S.N./Nurse Practitioner - Certification in Nurse-Midwifery from University of Florida in 2004. During her nursing career she has practiced in the specialties of pediatric and adult Hematology/Oncology, adult radiation therapy, perioperative nursing, and labor and delivery as a Certified Nurse-Midwife and ARNP. She joined Dr. Lukowski's practice in 2004. In her new location with Dr. Cotter she will be offering nurse midwife services to her patients. Cyndi's scope of practice includes the primary healthcare of women from puberty through menopause. She provides individualized attention to women and recognizes that each woman is unique with her own physical and emotional needs. She enjoys teaching women about their bodies and the importance of preventive health in an effort to optimize overall well being. She strives to provide an unhurried and casual office experience. Cyndi's hobbies include gardening and reading, and she enjoys spending time with her son and daughter. Bone density measurement and vertebral fracture assessment. Dynamic urologic testing for more accurate pre-operative evaluation before bladder repairs. This is performed by Patty McKey who specializes in female urologic function evaluation. Dr. Lukowski's office is now located at the Magnolia Parke offices, just west of 43rd Street on NW 39th Ave in Gainesville. Martha Jean Pierce will see patients in both the Medical Plaza on Archer road and the Magnolia Parke office. Cyndi Vista's office will be located in the 720 Building on SW 2nd Ave until Dr. Cotter relocates to NFRMC. Medical Records: Patients continuing their care with Dr. Lukowski or Martha Jean Pierce do not need to request their records to be transferred. Patients seeking care with other practitioners must download the medical records release form below, sign the form and fax it to 352-265-0281. Patients continuing care with Cyndi Vista at Dr. Cotter’s practice need to fax the signed medical records release form to 352-265-0281. Billing Questions: This practice was closed in the spring of 2009 and we are no longer processing any billing information. Payment Instructions: Mail all payments to 6440 W. Newberry Rd., Suite 201, Gainesville, FL 32605. You may drop off your payments in person at the Magnolia Parke location but we discourage in-person drop-offs. If you choose to drop off your payment in person, please put the payment in a sealed envelope with the following on the front of the envelope: TO: Michael Lukowski, M.D. From: your name. The option to pay by credit card is no longer available.